James P. Durnin, Sr., 72, of Palmer Township, PA, passes away on Sunday, December 12, 2010, in Easton Hospital. 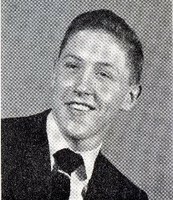 Born: Jim was born on July 17, 1938 in Easton, a son of Thomas and Jenny DeBiasi Minardi of Easton, and the late Paul Durnin. Personal: Jim and his wife the former Rae Mitsifer, celebrated 22 years of marraige on May 28th. He retired in 1999 as a Guidance Counselor for Easton Area School District, after serving over 30 years in education. He was a 1956 graduate of Easton High School. a graduate of east Stroudsburg University with a Bachelor’s Degree in education, and a graduate of Kutztown University with a Master’s Degree in guidance counseling. Membership: Jim was an active member of St. Jane Frances de Chantal Catholic Church, where he was an usher, Easton Schoolmans Association, Pomfert Club, Life Member of the Fleas Club of Easton, American Legion Lester Pfefer Post, Citizens Hose Company, The Loyal Order of Moose, Wilson Borough Republician Club, Palmer Fire House and the Tuesday Tour. Survivors: In addition to his wife, he is survived by sons, James Jr., and his wife Marshell of Easton, Bryan of Bethlehem: step-sons, Jonathan Everett, and his wife Jennifer of Emmaus, Jason Everett of Montreal; two brothers, Paul Durnin, Sr., of Bath, PA, Jack Durnin of Bethlehem Township, PA; grandchildren. James Durnin III, Lauren Durnin, Madelyn Everett, and Kirra Everett; great-grandchildren, James Durnin IV, and Brody Durnin. Jim is preceded in death by a son Thomas Durnin. Services: Calling hours will be held on Wednesday from 6 to 9 p.m. and also on Thursday from 9:30 to 10:30 a.m. in Morello Funeral Home, Inc., 3720 Nicholas Street, Easton, PA (Palmer Township). A Mass of Christion Burial will be celebrated on Thursday at 11 a.m. in St. Jane Frances de chantal Catholic Church 4049 Hartley Avenue, Easton, PA. Interment will be at Northampton Memorial Shrine.